This Simon and Garfunkel song has been running through my head all month. But I wasn’t sure what that meant. Until Monday when I woke up and thought. It’s finally changing. The rhythm is changing. And got out of bed smiling. For those of us with kids in public school in Massachusetts, June marks a real shift in our schedules, our to-do lists, and the cadence of our lives. With at least one child marching to his own drummer and my own insistently-drumming writing muse, the school calendar can start to feel like a prison. Starting somewhere around September 15. Today, however, is full of possibility. A summer stretches before me full of plans, but full of spaces too. Part of me wants to sit myself down and write out a strict, highly focused writing plan. 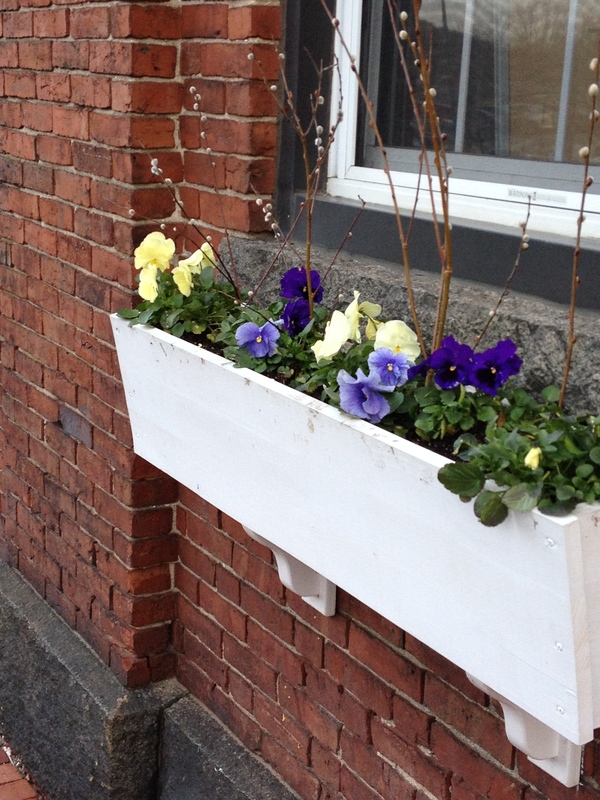 And the other part wants to put my feet up, stretch out on the garden chaise and just savor the possibilities. But it’s suddenly Sunday night, the garden chairs are now being circled by bloodthirsty mosquitoes, and my list of appointments and phone calls for tomorrow is cackling at me. And the next line of April Come She Will is “July, she will fly, and give no warning to her flight.” The possibilities are suddenly shrinking. I will confess that until I looked up the song tonight, I thought that the lyrics were “June, she’ll change your tune.” So I’m going to go with that interpretation. Because something internal has shifted. 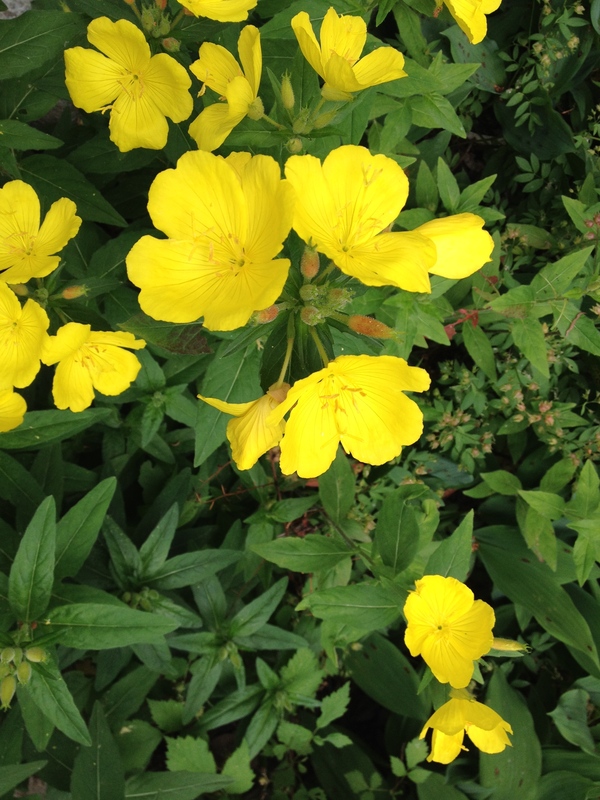 In spite of the stresses and strains and time-management hurdles ahead, I’m convinced that the last day of June and the fullness of July have great things in store. “What self-care would help you create with rigor and lightness? Ask yourself and listen to what comes to you, before you say, “Can’t. Not possible,” or “Later, when summer is over and the kids/grandkids are back in school.” via Jennifer Louden Blog News. Her timing is perfect. I love the idea of approaching my writing with rigor and lightness this summer. And if that doesn’t work, I can always try music and bug spray. 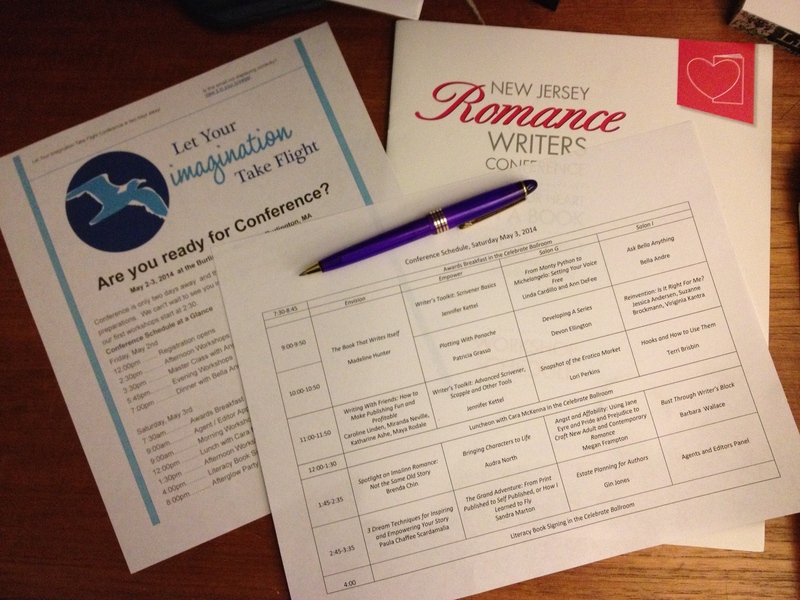 As many of us get ready for the New England Romance Writers Conference, I thought I would share a few pearls of wisdom that I’ve picked up at writing conferences up and down the east coast. I’ve always found writing conferences both invigorating and relaxing. Until the first year I decided to pitch my novel. But that’s okay. Because now I have rules. 1. Bring at least one back-up outfit. Because while the chances of your favorite outfit being attacked by stealthy moths the month before the conference are remote, it could happen to you. Don’t ask me how I know. And then bring a scarf. For the back up outfit. Because while the chances of you dumping some of your morning coffee on your pale pink sweater just before you pitch your novel to an editor are again reasonably slim…It could happen to you. And I think you know how I know. 2. When you go bombing down to breakfast by yourself the first morning, it’s prudent to write down the number of your room and keep it somewhere on your person. Because while the hotel staff would be more than happy to help you figure out where your room is, they do generally like to take a gander at your identification, which just might still be in your room. You know, the one with the unknown number. 3. Be nice to the hotel cleaning staff. A) They have tough jobs, and don’t get a lot of accolades. B) They could prove very helpful when you leave your card key in your room. And would like to avoid another chat with the front desk. 4. If you are lucky enough to get a coveted business card from an editor or agent, take a picture of it or make a copy in some other way before you store it in your incredibly safe place. Because sometimes that place isn’t quite as safe as you might hope. Maybe I’ll save the story of the flying wallet for one of my books. 5. Ease up on the worrying. Didn’t see that one coming, did you? Because while something small could surely go wrong, good things could also happen. Great things could even happen. Whether it’s a successful pitch or an awesome seminar or just a really nice connection over lunch, writing conferences are full of great moments. So go ahead, pack your bags, pocket your business cards, and prepare for the best kind of adventure. And I’m serious about the scarf.